Where better than your home bar to let your personality shine through? We have an increasing selection of barware featuring dapper steampunk cephalopods, medieval-inspired artwork, and more. Here you will find cocktail shakers, serving trays, and other mixology accessories. Many of the items here in the barware category are made in the USA, with fresh designs that blend humor and history with a dash of the macabre. Brush up on your bartending skills because you will love preparing mixed drinks for your friends with our gothic cocktail shakers. Or surprise a loved one with breakfast in bed served on the Gentleman Octopus Serving Tray. 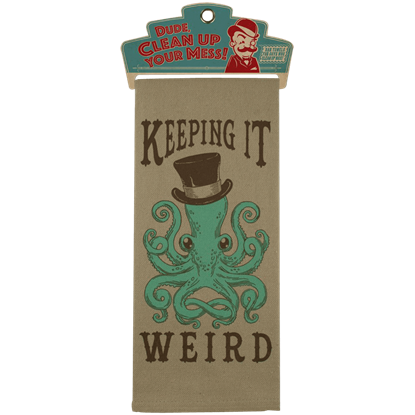 Even cleanup can be fun when you keep it weird with the Gentleman Octopus Bar Towel. We are always adding new items to our barware category, so keep checking back to choose from new items as they become available. 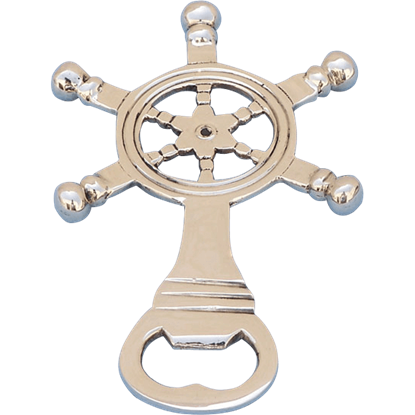 This Brass Ship Wheel Bottle Opener is the perfect accompaniment to any nautical themed kitchen or the perfect gift for any voyaging sailor who looks to have some hard-to-open bottles in the near future. 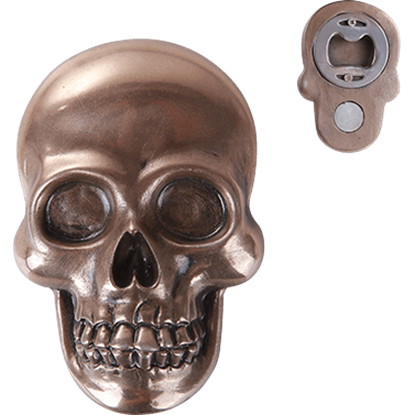 Crack open a cold one and relax with your new best pal, the Bronze Skull Bottle Opener! 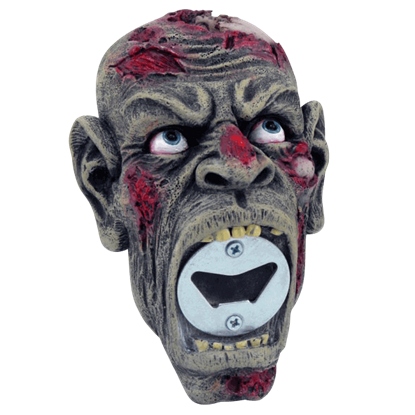 Though he may not have much to say, this macabre magnet sure will come in handy in your kitchen as he hangs on your fridge, waiting to be used. 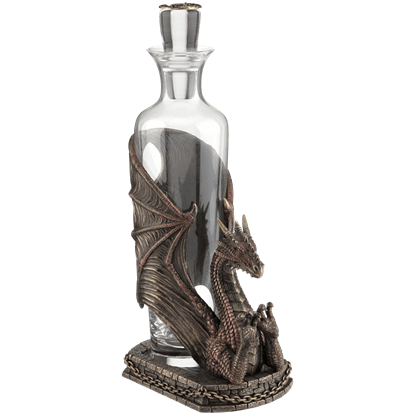 The Dragon Spirit Decanter depicts a mythical beast that captivates as much as it terrifies the mortal man. This beautiful piece of barware features a medieval creature who is more than willing to serve up your favorite liquor. 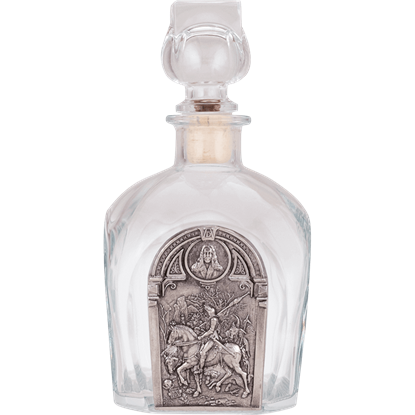 This glass decanter features a detailed pewter medallion showing Albrecht Durers famous engraving, Knight, Death and the Devil. An inset cameo displays the artist. The Durer Glass Decanter features a cork stopper with a glass top. Heres to Keeping It Weird and letting your unique personality shine through! Now you can add this whimsical design and retro style to your home bar or kitchen. The Gentleman Octopus Bar Towel also makes a great gift for adventurers. This octopus is not only cool as a cucumber, he is devilishly handsome and dressed to impress. Now you can add this whimsical design and retro style to your home bar. 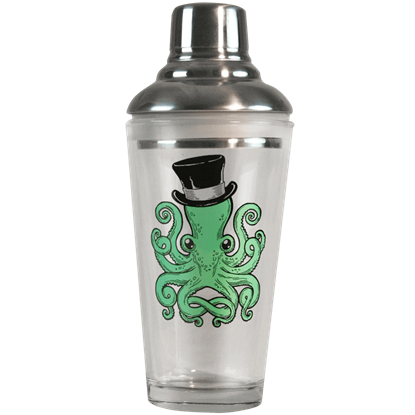 The Gentleman Octopus Cocktail Shaker also makes a great gift. Despite their rough beginning and ending, the Knights Templar was a force when considered at the height of their power. 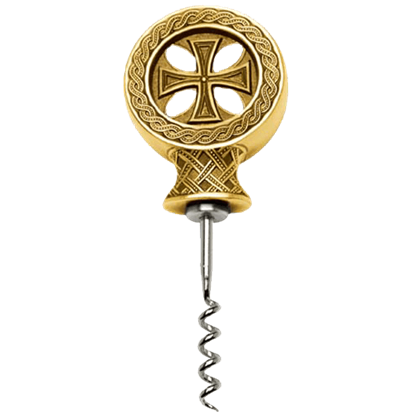 Harness that strength for the every-day by using the Gold Templar Knight Corkscrew, by Marto. 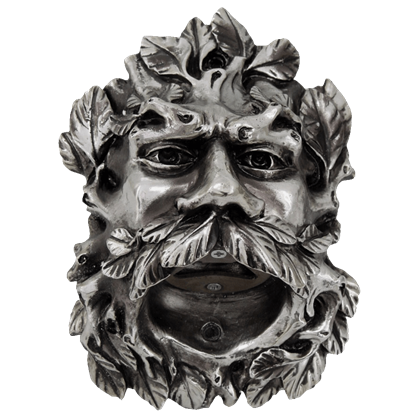 This jovial-looking greenman is always willing to lend a helping hand, whether it is adding a touch of fantasy and natural style to your decor or even if it is helping to open troublesome bottles that might be close at hand. The La fee Verte Absinthe Spoon is a traditional sugar cube strainer for watering down absinthe. It can also be used to strain ice from your liquor. 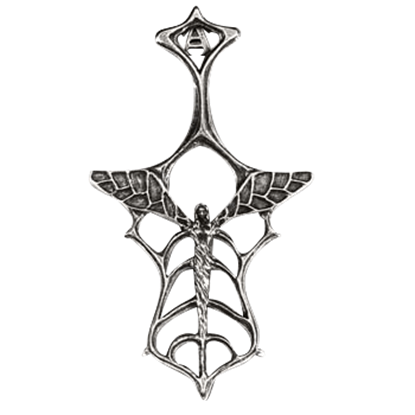 The La fee Verte Absinthe Spoon is made of pewter and has a fairy in the center. With its alien looks and movements that are so different from ours, the octopus has inspired our imagination for centuries. 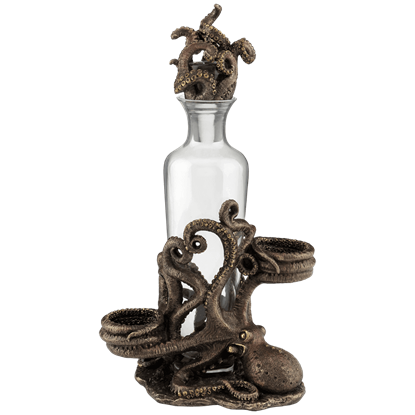 This Octopus Spirit Decanter Set is a great way to celebrate deep sea or Steampunk style in your home decor. Despite their rough beginning and ending, the Knights Templar was a force when considered at the height of their power. 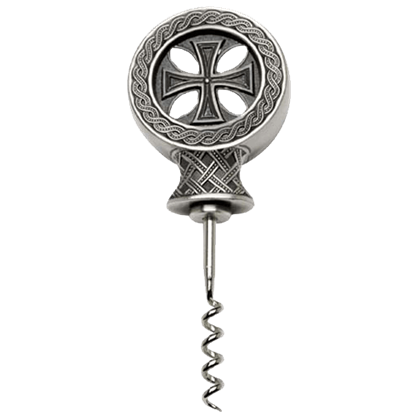 Harness that strength for the every-day by using the Pewter Templar Knight Corkscrew, by Marto.